Last month Parker Nicoll received an offer to join BYU football and immediately made a verbal commitment to join the Cougars as part of the Class of 2019. Nicoll preps at Bountiful High School (Bountiful, UT), where as a senior he recorded 63 tackles, 10 tackles for loss, 11 quarterback hurries, five passes defended, three sacks, one forced fumble, and two interceptions returned for touchdowns (118 total return yards). He was named to the All-State first-team (5A) and was the Defensive MVP for Region 5. 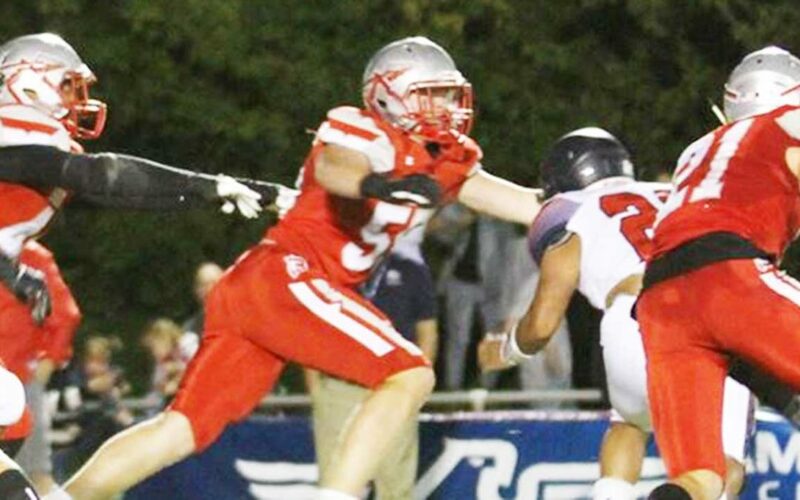 Nicoll will join BYU as a preferred walk-on. Class: 2019 HT/WT: 6’4”, 220 lbs. I caught up with Nicoll to ask him about his recruiting. Nicoll: I have been a BYU fan since the day I was born and playing for BYU has always been my dream. My grandpa played basketball at BYU in the late 50s and my uncle played for the football team in the early 90s. My grandpa took me to many BYU football games when I was growing up and I’m excited to be a part of that tradition. Nicoll: My favorite movie would have to be Anchorman. I also like the Red Hot Chili Peppers, Bust a Move by Young MC, and eating biscuits and gravy. BYU Insider: What are some of your greatest accomplishment in sports? Nicoll: Making first-team All-State and being named Region 5’s Defensive MVP. BYU Insider: Who is a current player that you seek to emulate on the field? Nicoll: I also play basketball and earned my Eagle Scout award.